Are you throwing a Christmas party later on this month? There’s still time to get some assistance from DealDash! Planning any sort of party can be hard work, especially Christmas parties, because I feel like there is more pressure put on to make the “perfect party” so much more so than a regular dinner party. My family gets invited to a few Christmas parties every year, and since weekend time is limited in December sometimes I find myself picking and choosing which party to attend. I can only assume that other families have this same issue, so if people choose to attend a Christmas party of mine instead of someone elses’ that year I feel obliged to show them a good time! Let’s take a quick peek at how DealDash can help make things a little easier when planning your Christmas party. 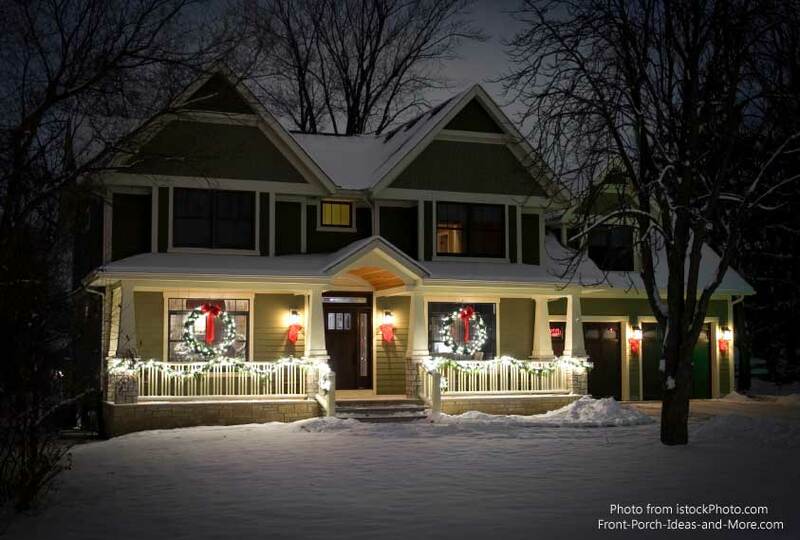 Have you decorated the outside of your house yet? This isn’t a requirement, of course, but decorating both the outside and the inside of your home in a tasteful and classic way can make your party seem much more festive to your Christmas party goers. There are both Target and Wal*Mart gift cards available on DealDash almost daily, and they are always shipped quickly and safely. If I was in need of more decorations I would bid on these gift cards and take advantage of some of the great sales that these places are running through Christmas and get some great decorations. You can find the gift cards at this link here. Another part of having a great Christmas party is having great food, of course. If you have been paying attention to this blog in the past month or so you might have read my Thanksgiving blog. This blog can give you some pointers and ideas for making “real food” which can be found at this link here. However, in this blog I wanted to mention that it would be wonderful to bake some homemade Christmas cookies for your guests to eat at the party, or even make up small bags of them and send your guests home with cookies. 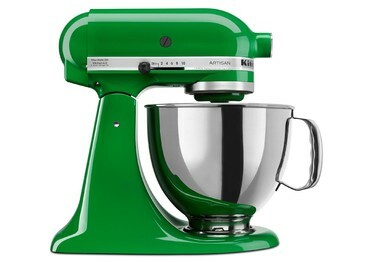 Making cookie dough is infinitely easier of you have a great quality stand mixer like the KitchenAid. 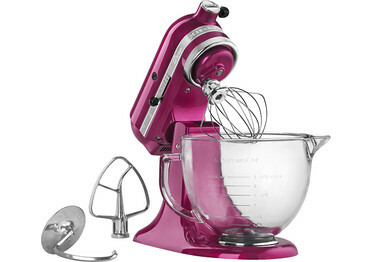 My daughter and I used mine this past weekend to make Christmas cookies, and even though I am 8 months pregnant and exhausted making the cookies this year with my KitchenAid was a breeze compared to last year when I had an inferior mixer. 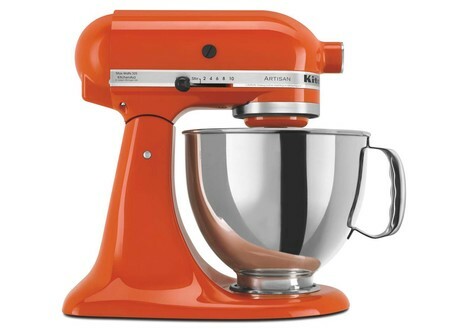 You can check out the different colors of KitchenAid stand mixers that DealDash has at this link here. 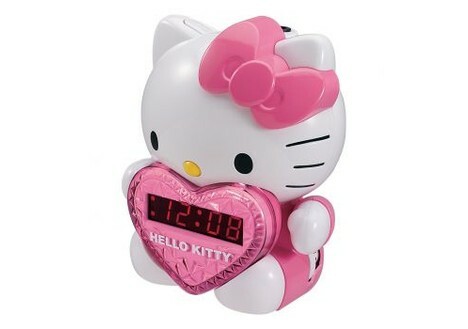 I have the hot pink one! 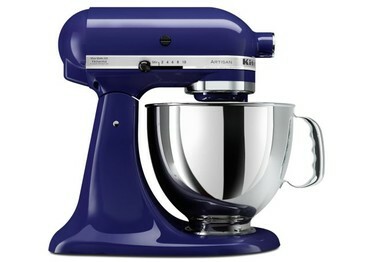 If you are in need of anything other kitchen supplies besides the mixer check out DealDash’s Kitchen & Appliances section. I hope that these tips got you thinking about what an enjoyable and memorable Christmas party might entail. 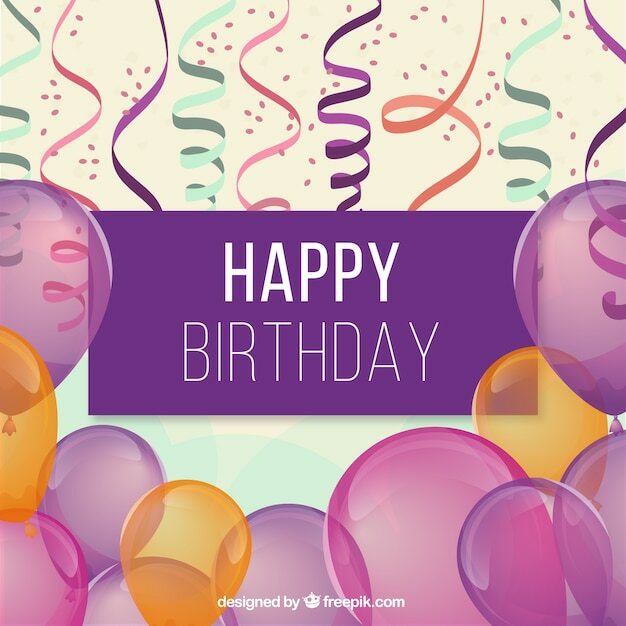 If you are looking for any more supplies for your party definitely check out DealDash – Don’t forget to get the mundane things such as extra paper towels, toilet paper, and tissues. Check the Home, Garden and Tools section at this link here, you wouldn’t want to run out while company is over! Good luck and happy bidding everyone! No, I don’t mean about DealDash’s competition – DealDash is great without having to drag down other’s image! I mean let’s talk trash, literally. 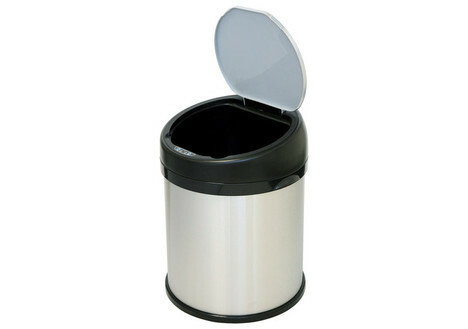 This is probably a subject that you don’t think about very often, but what kind of garbage cans do you have in your house? Most people have a big trash can in the kitchen, smaller ones in the bedrooms and bathrooms, and maybe one in the basement/laundry room area. When you think about it, that’s a lot of trash receptacles! As the owner of a couple of small children who I am trying to teach how to be neat and clean I am very adamant that they throw away all of their trash, all of the time. In my kitchen we used to have an old “step on” garbage can that’s lid was supposed to lift when you put your foot on the pedal. However, it was on the older side as well as being made out of cheap plastic, so the lid only opened about halfway most of the time. Which, of course, would result in the kids using one of their little hands to pull open the dirty grimy lid the rest of the way, YUCK! It was really just luck that I saw the automatic motion sensor garbage cans on DealDash. 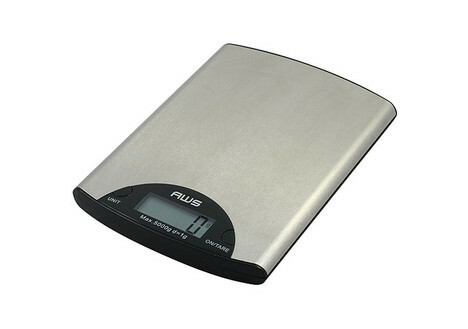 I never knew that such a product existed before I stumbled upon it on DealDash. When I saw it, I knew that I had to have it! The 13.2 gallon size is just perfect for my kitchen and laundry area. It truly works as well as advertised – just wave your hand or the trash that you want to throw away above the sensor and the lid will open. It takes AA batteries, or you can get a separate AC adapter cord so you don’t have to put batteries in. Since I have been enjoying my 13.2 gallon garbage can in the kitchen I have been looking into getting a bunch of the 8 gallon versions for the bedrooms and bathrooms. They are just so cute! 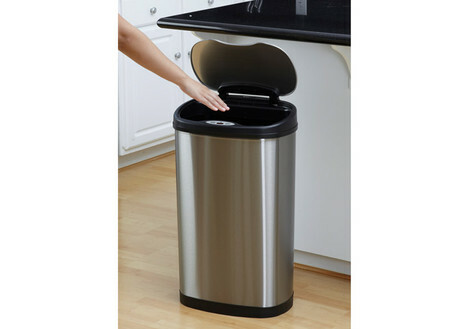 And of course I love the fact that my children and I don’t have to touch any old stinky garbage can lids anymore. Check out the different selections at this link. 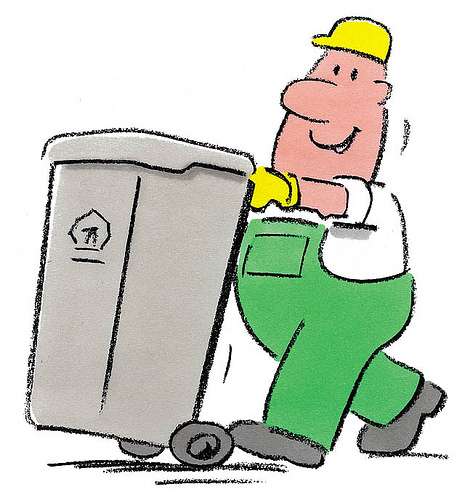 If you’re not in the market to replace your garbage cans right now, DealDash still has all of your cleaning supplies covered, – they carry everything from the biggest items like vacuums and steam cleaners all the way down to the most humble of the cleaning supplies – paper towels, dish soap, and spray cleaners. 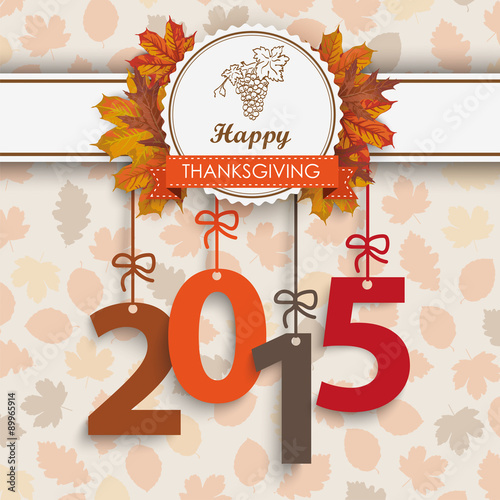 Have a Happy Thanksgiving tomorrow everyone! If you usually go to a relative’s home for Thanksgiving but have decided to cook your own this year you probably need some handy tips to get you started. 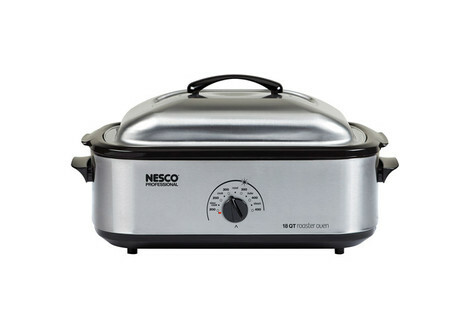 The first thing that you will want to think about is how you will cook your turkey. 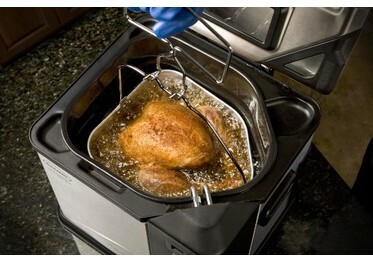 Up until a few years ago your only choice was to bake it, but recently people have started frying their turkey instead. 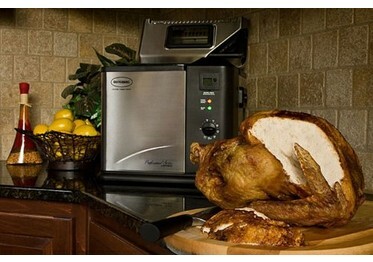 If you’re interested in frying your turkey this year you can cut your bird into manageable pieces and fry them in just about any of the small fryers that DealDash has on their site, or you can get a specialized fryer that is made for turkeys – which DealDash also carries. 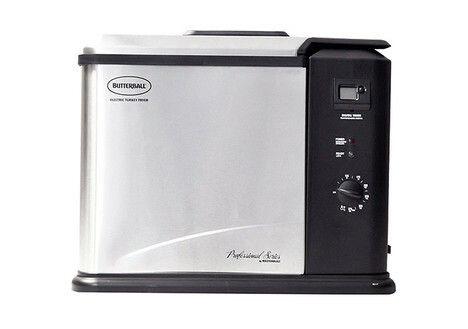 If frying a turkey isn’t really your idea of an ideal Thanksgiving dinner, and you don’t have a large enough oven to accommodate the turkey as well as the sides, how about getting a turkey roaster from DealDash instead? Have you thought about what kind of sides that you will be serving with your Thanksgiving meal? Some of my favorites are mashed potatoes, corn, and stuffing. 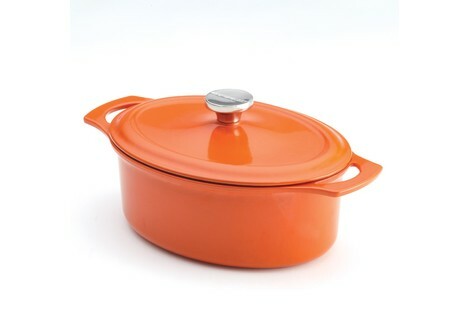 You’re going to need of a selection of casserole dishes to put your sides in to bake and serve. 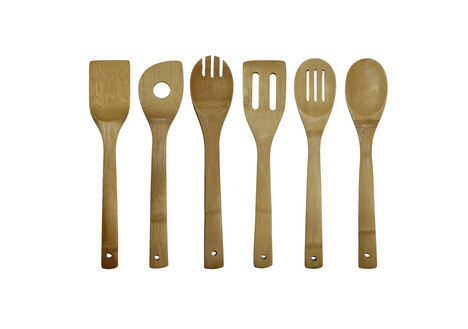 Happily, DealDash has a great selection of kitchen items. Other than all of the cooking, if you’re inviting people over to enjoy Thanksgiving with you, you are probably going to want to clean your house as well as put up some decorations, or at the very least a table cloth! DealDash has all of your cleaning supplies covered, of course – they carry everything from the biggest items like vacuums and steam cleaners all the way down to the most humble of the cleaning supplies – paper towels, dish soap, and spray cleaners. 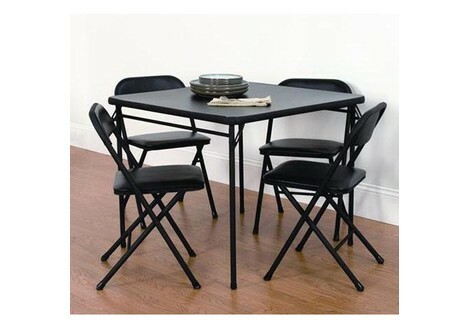 If you’re having a lot of people over you also might want to consider getting a card table and chairs so you will be able to accommodate everyone that you’ve invited to your Thanksgiving feast. 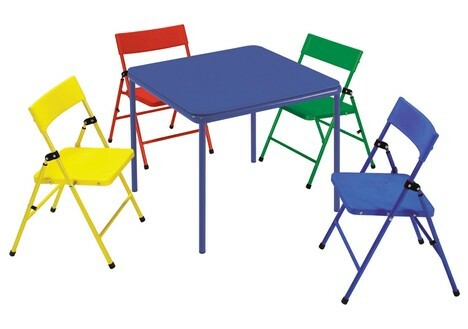 DealDash has a great table and chair set that would be perfect for the task. If you are going to be hosting your family’s Thanksgiving this year be sure to check out DealDash. There are so many things there that you will be able to use for Thanksgiving dinner, but also be able to incorporate into your everyday use as well. 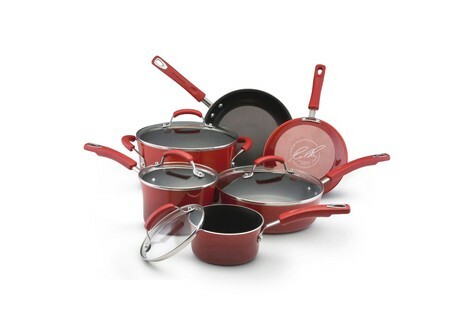 Some examples of things you might want to look for in the kitchen section are: knife sets, pot & pan sets, cutlery, baking items, and much more. Good luck and happy bidding everyone! Every age group from teens to seniors love coffee. However, a lot of people go through life not knowing much about it. Let’s change that. Most people know that coffee is prepared from roasted coffee beans, but do you know how they get the beans in the first place? 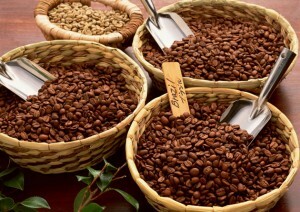 Coffee beans as you know them actually come from the seeds of berries from the Coffea plant. Coffee plants are cultivated (almost) all over the world, but primarily in the equatorial regions of the Americas, Southeast Asia, India and Africa. You won’t find any coffee plants growing in Antarctica, though, they need a temperature of about 59 and 75 °F to grow and thrive. 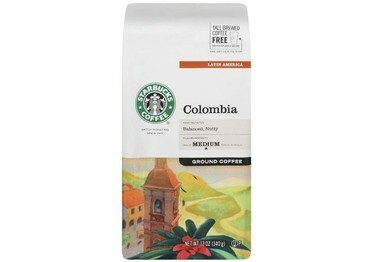 The two most commonly grown coffee plants are arabica, which coffee connoisseurs tend to love, and the slightly lower regarded but stronger robusta. You might be wondering how you get the coffee beans from plant seeds. Well, it’s a long time-consuming process starting with the picking of the berries. After the berries have been picked (some places do it by HAND!) then they are sorted by ripeness and color and then the flesh of the berry is removed, usually by machine, then the seeds are fermented to remove the slimy layer of berry flesh still on the seed. After this process is finished, the seeds are washed with fresh water to remove the fermentation residue. Finally, the seeds are dried. After the drying is done the beans are called “green coffee.” The final step before being shipped off to your local supermarket or cafe is roasting the beans. After they have been roasted then they are the nice brown yummy-smelling beans that we are all used to. There are many different ways to enjoy the coffee beans – espresso, cafe Americano, Turkish, cold brewed, or even the most humble instant coffee. 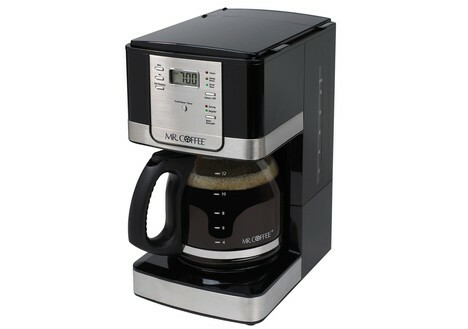 When you think of having a coffee at home most people probably either think of the “regular” coffee maker that’s found in most homes or offices, and coming in a close second would probably be the newer “one cup” coffee makers that use the individually portioned “pods”. No matter which type you prefer you can get the machines themselves and also the re-fills from DealDash. 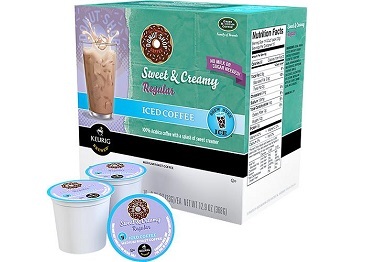 Getting items such as coffee from DealDash makes so much sense – If you don’t win the item and end up having to Buy It Now (BIN), you will get all of your bids back, and a great product that you would have bought anyway. I hope this article has furthered your knowledge about coffee and how it goes from plant to your cup. 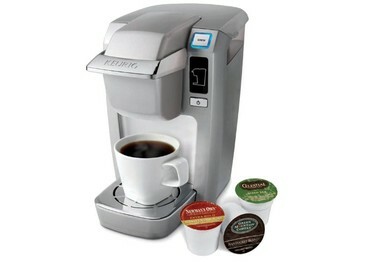 If you’re interested in getting some items to enjoy your coffee at home head on over to DealDash. DealDash has everything you need to have a nice hot cup of coffee at home. Check out the Kitchen & Dining category and I’m sure that you’ll find something that you can use to make your perfect cup of coffee. Good luck and happy bidding everyone! Most people really enjoy Halloween, and what could be more fun than a Halloween party? Let DealDash help! If you’ve ever had a Halloween party for your kids, or even for yourself you know that there are ton and tons of great ideas out there to make your party special. 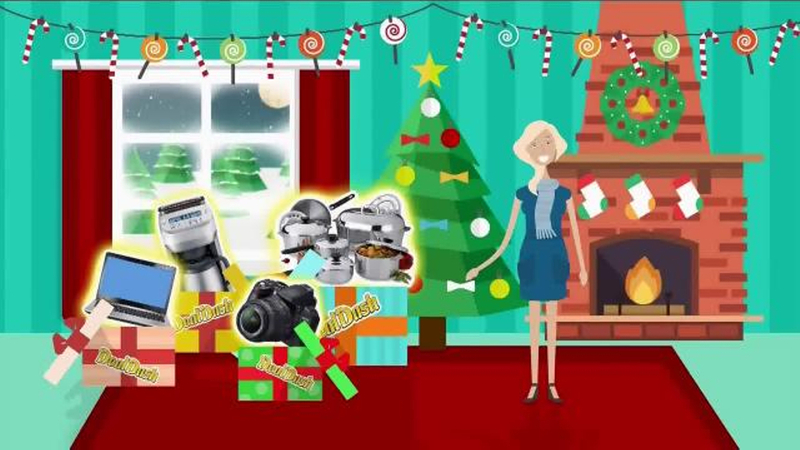 From outdoor decorations to indoor food preparation DealDash has you covered. Let’s take a look at a few ideas to help make your Halloween party a smash. First, you should definitely decorate your house. 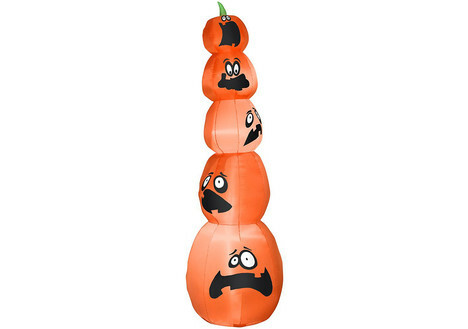 Not just a few pumpkins (though you should definitely have those), but how about some awesomely scary lawn decorations? 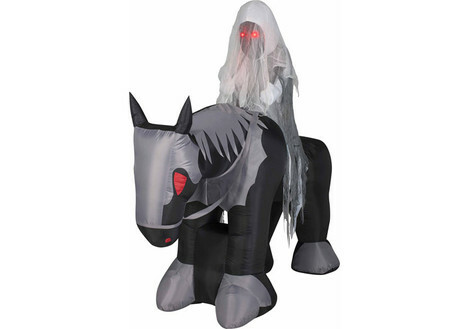 If you check out the Home, Garden, and Tools section on DealDash you can find a great selection of different scary items for the outside of your house such as a ghostly rider on a horse, an inflatable stack of giant Jack o’lanterns, and spiders galore! 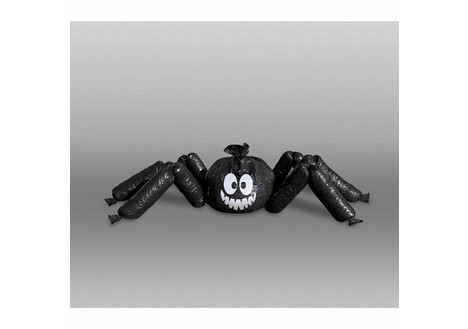 Some of the spider decorations are functional, such as the spider lawn & leaf bag holds your yard waste, while the over-sized LED spider can give you a little extra light on a dim pathway. Decorating your lawn for your party is not only very festive, but it can also help your guests identify exactly where the party is just in case they have never been to your house to visit. Every single party that I have ever been to has always offered food of some sort, from snacks to a full meal. 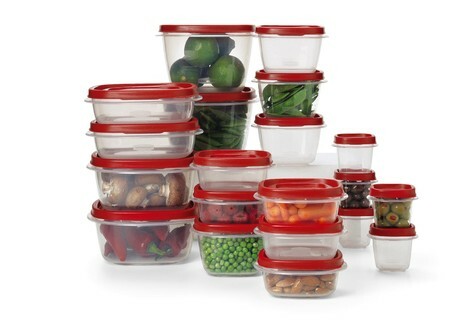 If you need any new food prep items check out DealDash’s Kitchen & Dining section. If you’re planning on making a cake for your party, how about cupcakes instead? 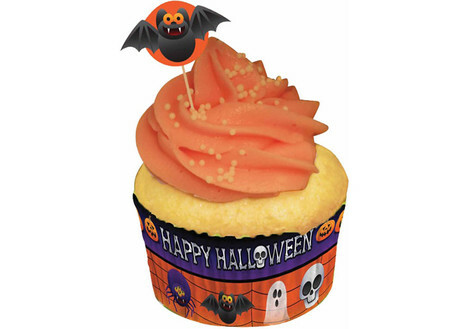 DealDash has an adorable Halloween cupcake making set that would be just perfect for a kid’s party. 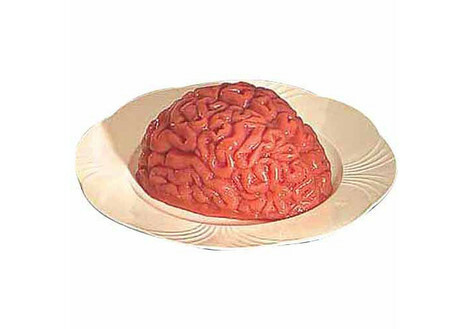 If you’re looking for more of a scary themed party for adults then you should check out the gelatin mold in the shape of a brain! 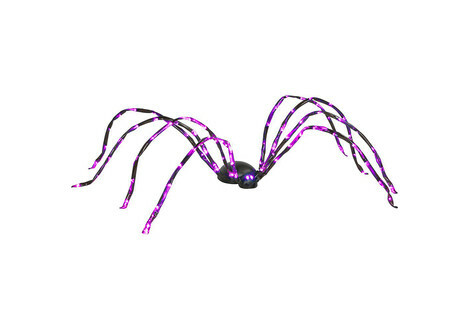 It’s super scary. 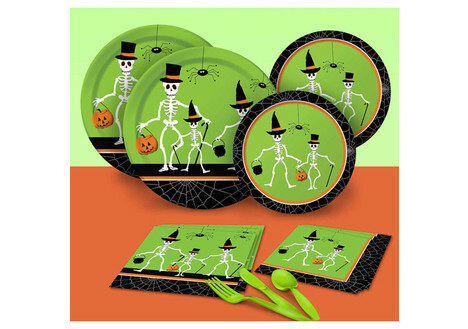 DealDash also has other items that would be great for any age such as not-too-scary skeleton plates. 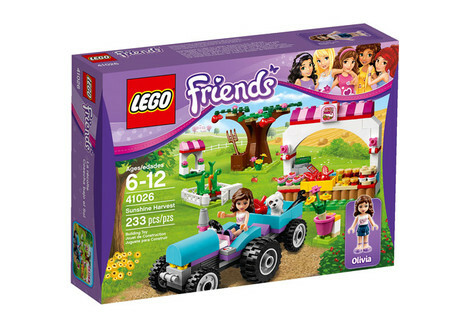 If you’re hosting a party for kids, how about some entertainment playing in the background in case the kids have had enough partying a need a little downtime? 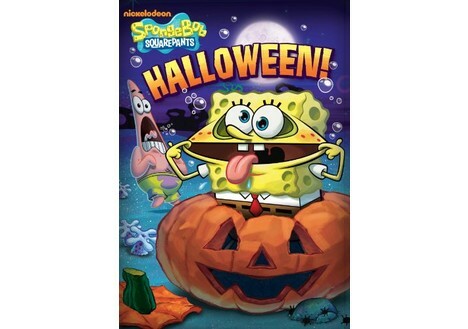 DealDash has some great DVD and Blu-Ray titles that would fit in with the theme such as Spongebob Halloween. 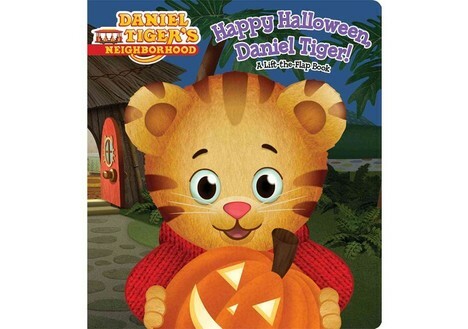 If your little guests are more into books than videos, then Daniel Tiger’s Halloween book will keep them occupied. I hope that you have a great time planning your Halloween party and that it’s a great and scary success. Always remember, before you shop anywhere else for party supplies check out DealDash first, you might be surprised at all of the awesome party things that you can win or BIN. Good luck and happy bidding everyone. Do you love to bake? 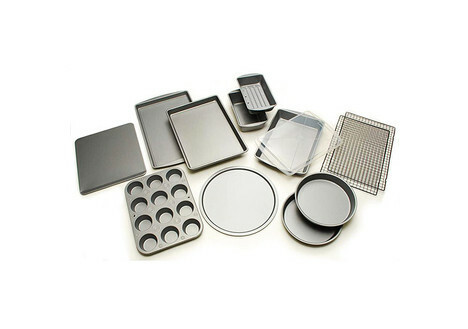 No matter if you are a beginner or advanced, DealDash has you covered with things to help you bake. If you don’t normally bake (or even cook very much!) 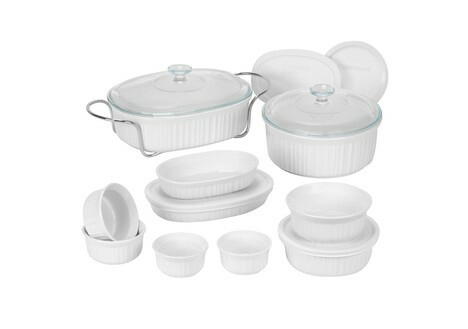 the first thing that you probably need to get started is a good set of bake ware. DealDash has quite a few selections for you. 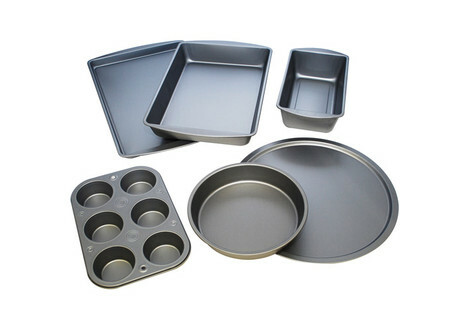 The main things that you want to look for in my opinion are to make sure that the bake ware is rated up to the temperatures that you will use, that it’s non-stick, and that it has common sizes that you think that you will use on a regular basis. 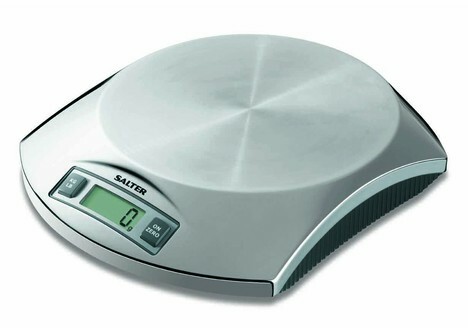 If you are really going to get serious about baking, I suggest that you get a scale that you can measure your ingredients with. 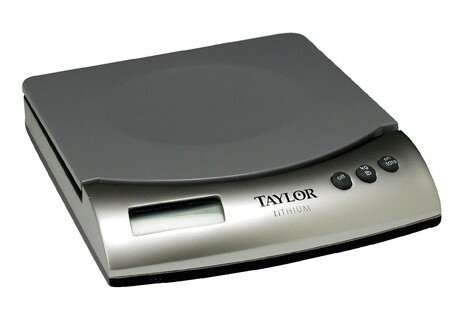 They are usually called “Digital Kitchen Scales,” and they are actually useful for other things besides baking such as weighing letters and small packages so you don’t have to go to the post office. A handy tip that might make your life a little easier as a beginning baker is to remember to bring refrigerated items like butter, eggs, and cream cheese to room temperature before you start to put together your recipes. A good idea is to take your cold ingredients out of the fridge at least a of couple hours before you are planning on baking. If you forgot to take the eggs out, and you need to use them right away, take the chill out by dipping them in a bowl of warm water. For butter, cut into chunks, and at room temperature, it will soften in about 15 minutes. I hope this article has encouraged you to bid on some baking supplies and get started making something delicious. If you’re interested in getting some items to help you with cooking at home head on over to the Kitchen & Dining section on DealDash. DealDash has food processors, stand mixers, cookware, and plenty of other items that you can use. Good luck and happy bidding everyone! After hosting my daughter’s 4 year old birthday party this past weekend I was amazed at how many ways DealDash helped me. Planning a birthday party can be such hard work! However, when you see all of the party-goers having a great time, especially the birthday person it makes it all worth it. Let’s take a quick peek at how many ways that DealDash made my life a little easier when I was making the party preparations. Food preparations were number one on my list, and so many of the small appliances and kitchen-ware that I used to prepare and store the food originally came from DealDash. The pots & pans set that I got from DealDash about 6 months ago was definitely an integral part of the food preparations, but even smaller things such as my bamboo cooking utensils and food storage set all played their part in making my party a success. If you are in need of anything in and around the kitchen check out DealDash’s Kitchen & Appliances section. 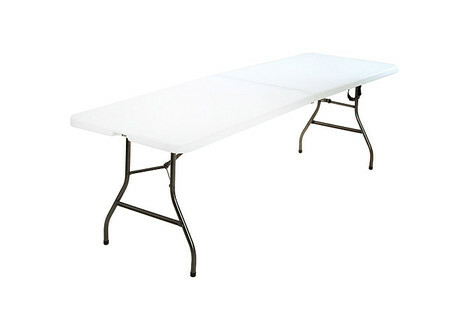 Another item that I got from DealDash that was absolutely a necessity for my party was my portable centerfold table. All of my normal table space was taken up by happy party-goers, so I tossed a disposable table cloth onto my portable centerfold table and it made a great buffet table to keep all of the big dishes and bowls of food on so people could come serve themselves. Speaking of tables, I had a few tiny guests that were too small to sit at my regular dining table or on a bar stool at my island, so I brought out my kid’s table & chair set and there was room for everyone, and no one got any “boo-boos” from falling off of a chair that was too big for them. If you’re looking for some inexpensive furniture that you can keep in storage until you need it, try browsing the Home & Office category on DealDash. Since this was a 4 year old’s birthday party, I’m sure that you can guess the last DealDash section that I am going to mention…The Toys, Kids, & Baby section, of course! 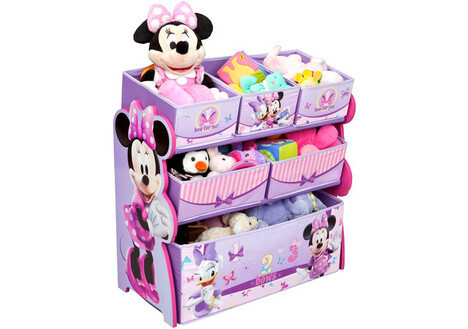 I was able to get my daughter a bunch of great toys that she was so excited to open and made her birthday extra special. My daughter absolutely loves all of the awesome things that I get her on DealDash, but I had saved some of her favorite characters for her birthday. Thanks for making her birthday great, DealDash!